In 1968, TBA, LLC (then Tom Brooks & Associates) opened as a wholesale plastic pipe and fittings manufacturing and distribution operation. Rapid expansion of the business in the 1970's and early 1980's began to include the distribution of vanities, faucets, and sinks for the bathroom. By the mid 1990's, TBA, LLC had expanded exponentially and introduced the distribution of kitchen cabinetry and electrical products. 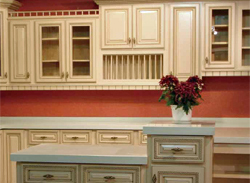 Today, TBA, LLC has continually broadened its product lines to include several sophisticated lines of bathroom and kitchen cabinetry, faucets, sinks, vanities, granite, toilets, conduit pipe, range hoods and PVC plumbing pipe and fittings making TBA, LLC a leading competitor as your one, diverse source for all kitchen and bath needs.